Want to celebrate the Fourth of July with your pet? Here’s a simple dog treat using ingredients you probably already have in your fridge. It’s a perfect snack to cool your dog down on a hot day. We love it because it’s fast, healthy, and festive! Assemble your ingredients. You’ll need about 5 blueberries, ¼ cup plain yogurt, 1-3 strawberries (depending on the size), and a small cup for each pop. Pop it in the freezer until frozen solid. Remove from the cup and serve! 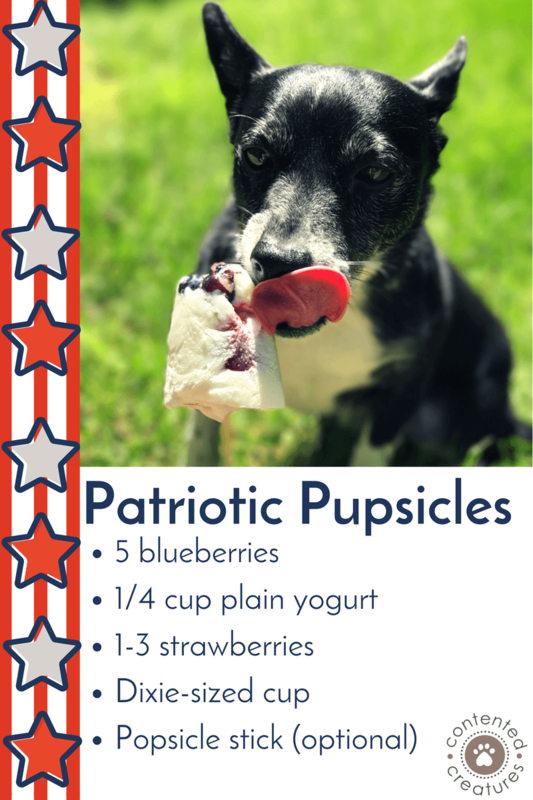 We hope your dog enjoys his Fourth of July dog treat. Make sure your pets are safe, secured, and have updated ID tags in preparation for the holiday fireworks.